Mahlatse Mogale holds a Bachelors of Arts in Media Studies Degree from the University of Limpopo. During his academic career, he completed training as a producer at the local campus station Radio Turf. He also volunteered as a journalist in the campus newspaper Turf Beast. 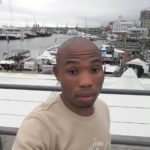 Mogale’s first interaction with Gender Links was at the 2015 SADC Protocol@Work Regional Summit held in South Africa where he reported for the Gender Links News Service as a student selected from the University of Limpopo. He started his media career as a Field Producer for Infinity Media Networks in the SA Decides Project in 2016, after the completion of the project he was awarded the Best Producer award for the SA Decides project. He then joined the channel’s Sports desk team as a Desk Writer and Reporter before he was promoted to the show’s producer. Before the media house closed, he worked as a Copywriter and Bulletin Producer. He joined Gender Links in February as a Media and Communications Officer.